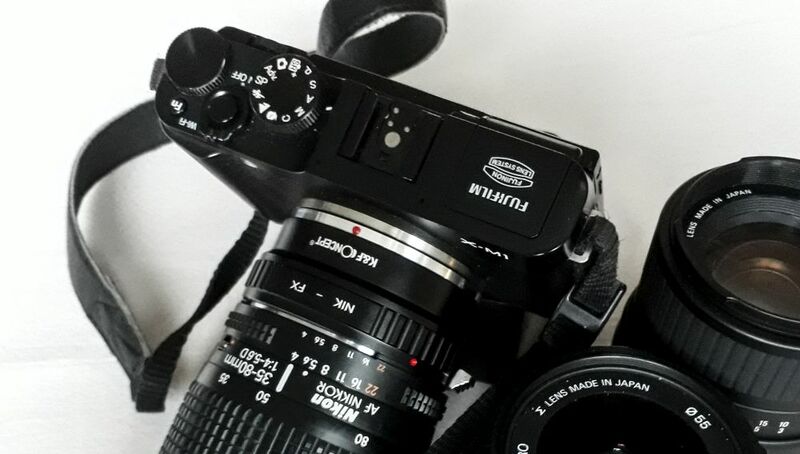 The K&F Concept Fujifilm X mount adapter. When you use the adapter you LOOSE the AF. 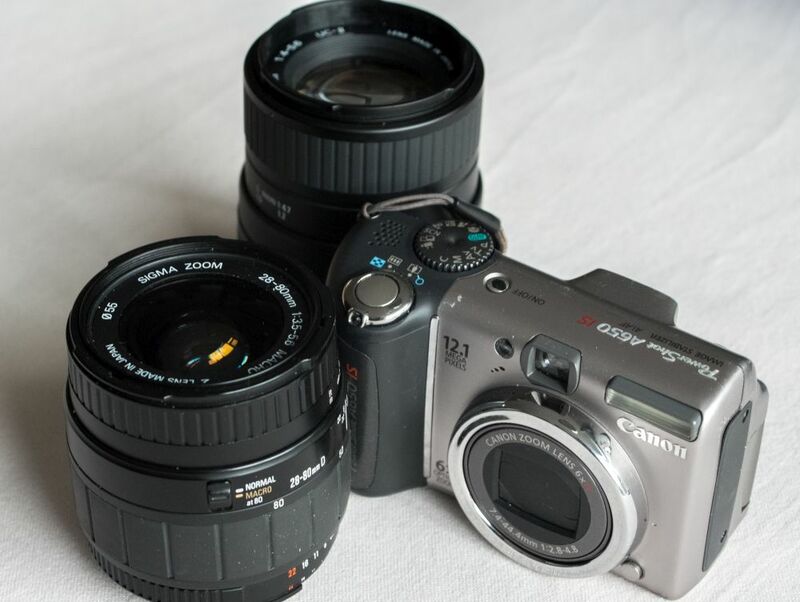 You also LOOSE Aperture control. 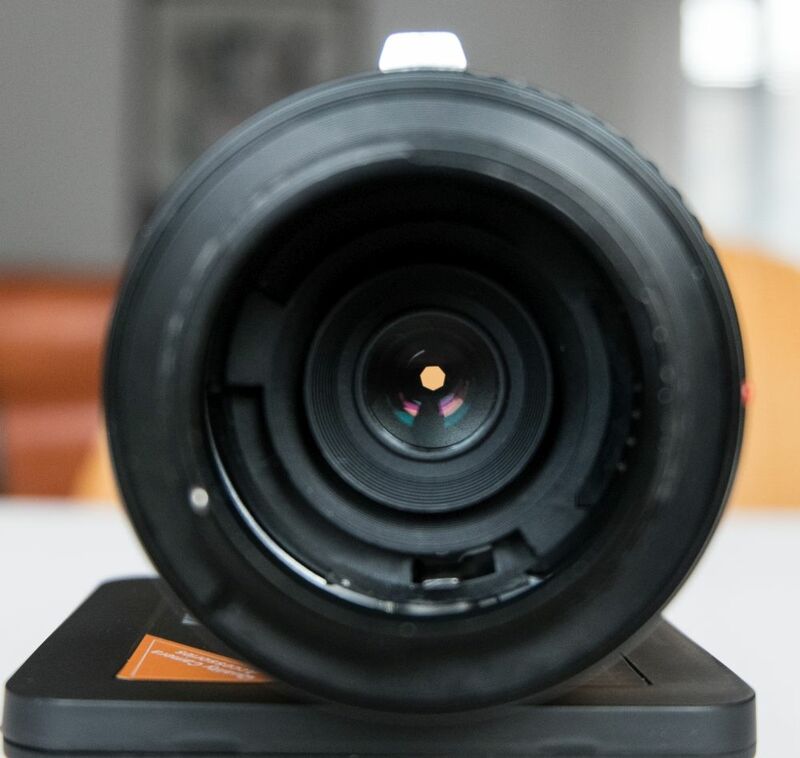 That’s why it’s handy if your lenses have aperture control rings. 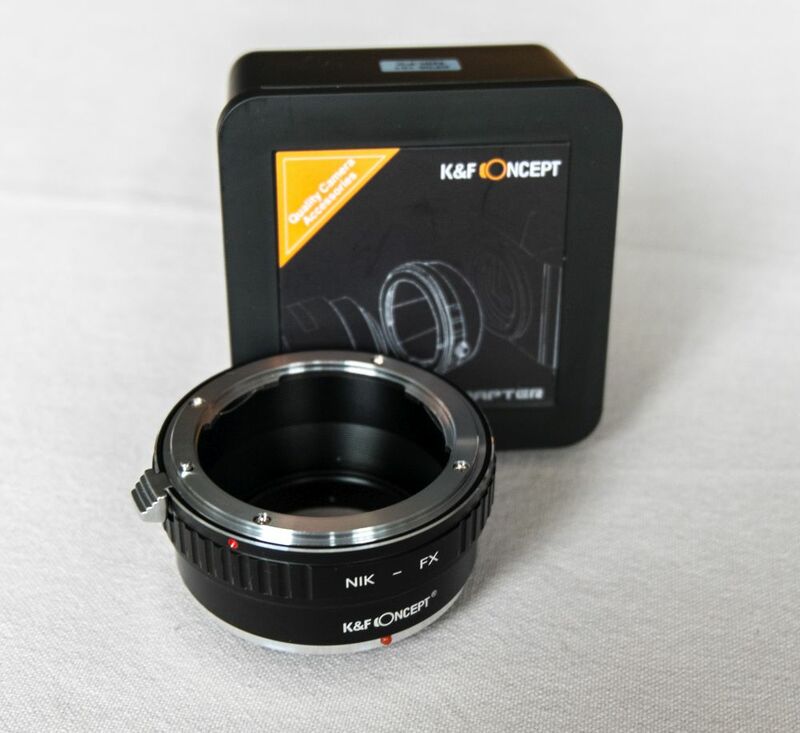 If your lens doesn’t have aperture control rings you need to get a different adapter from K&F, the one WITH an aperture control ring. 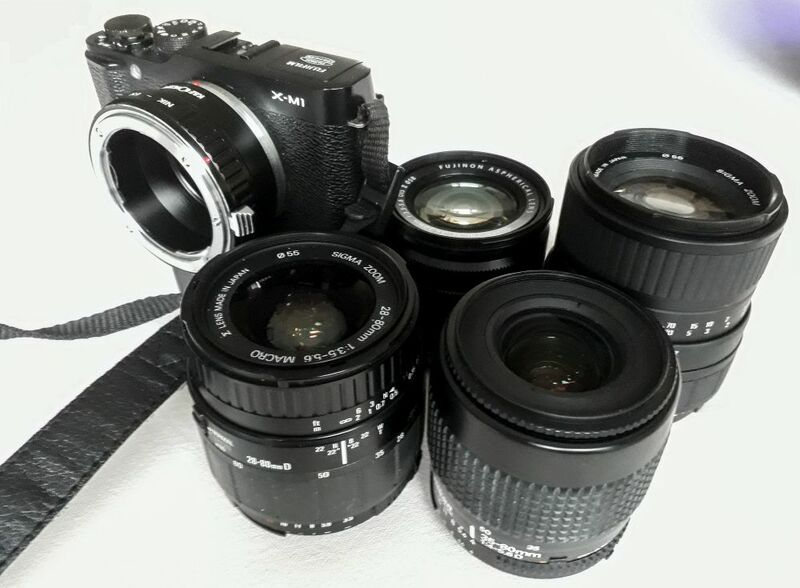 Now, all these lenses are Full Frame Lenses. 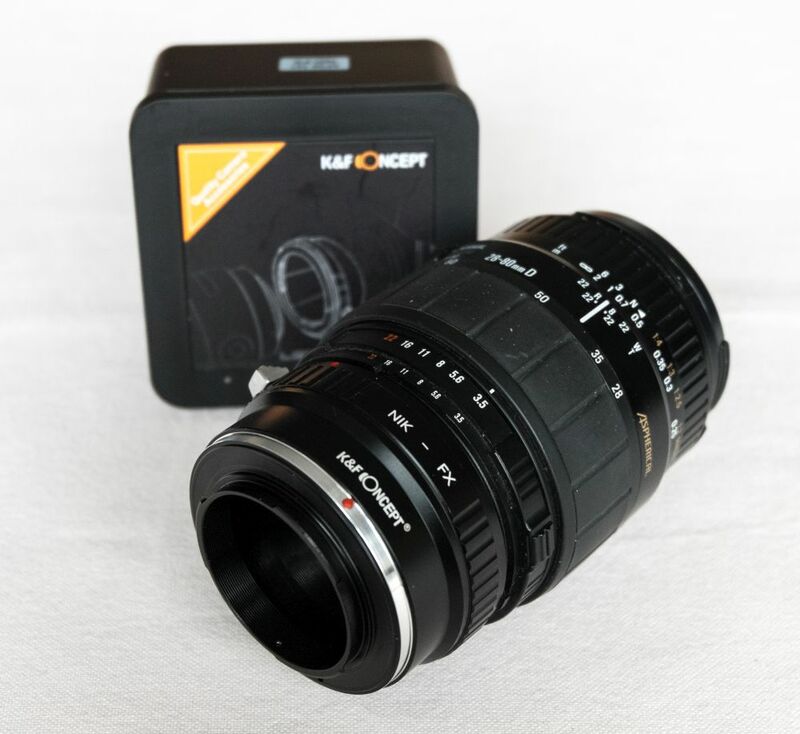 The K&F Fuji X adapter doesn’t offer a multiplier so you will get a different field of view. 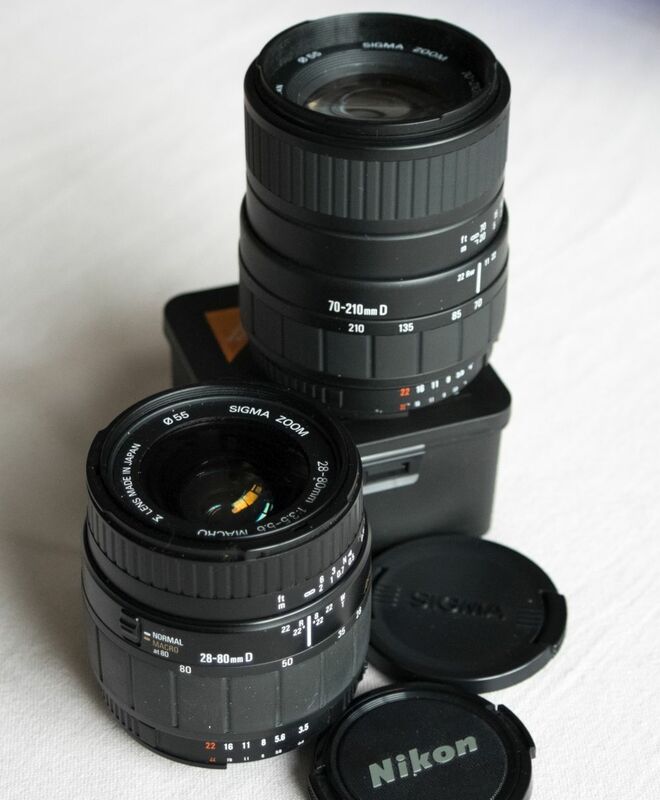 For example: the 28-80mm will become a 42-120mm. The adapter very well built. For that money it exceeded my expectations. 🙂 The build is outstanding. Materials like aluminium and brass but still light weight and strong. It feels solid. When you start using this adapter you have to change some settings in the menu. 1 Press ‘Menu’ to access the menu. 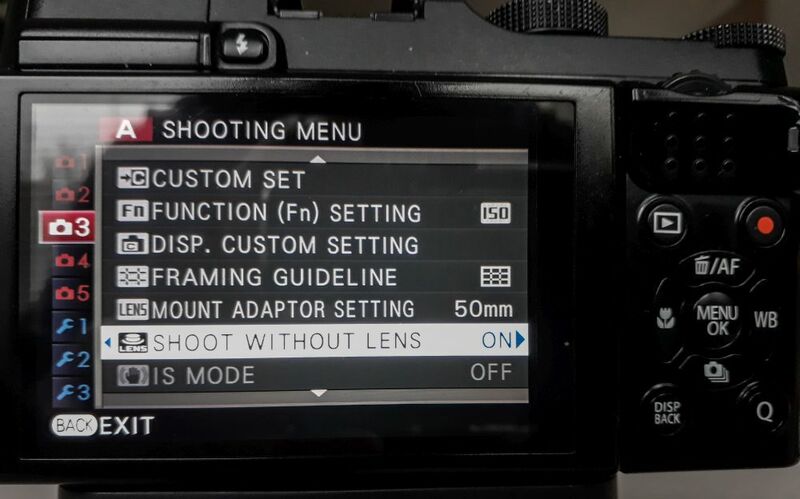 2 Scroll down until you come to settings 3 and choose the option ‘shoot without lens’. 3 Activate this option and exit the menu. View from the camera. Camera is in A mode. You will see that the F value stays on 0. 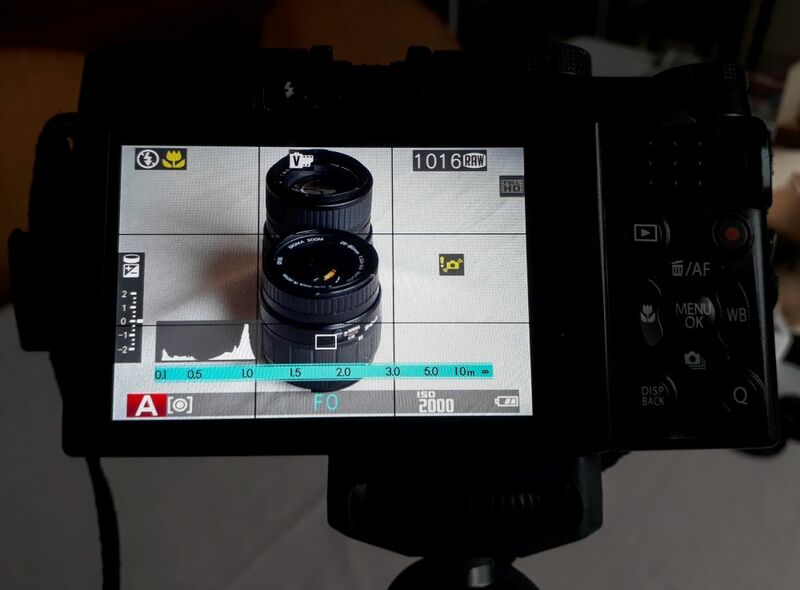 You have to change the F number with the Aperture ring on the lens. 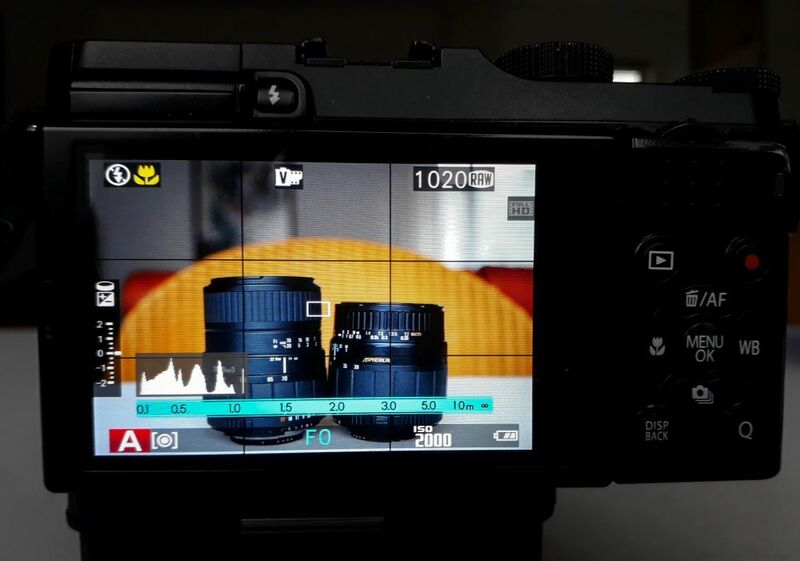 In the image above you can see that the F number (camera is in A-mode) stays on 0. This stays this way as the camera gets no Aperture info. 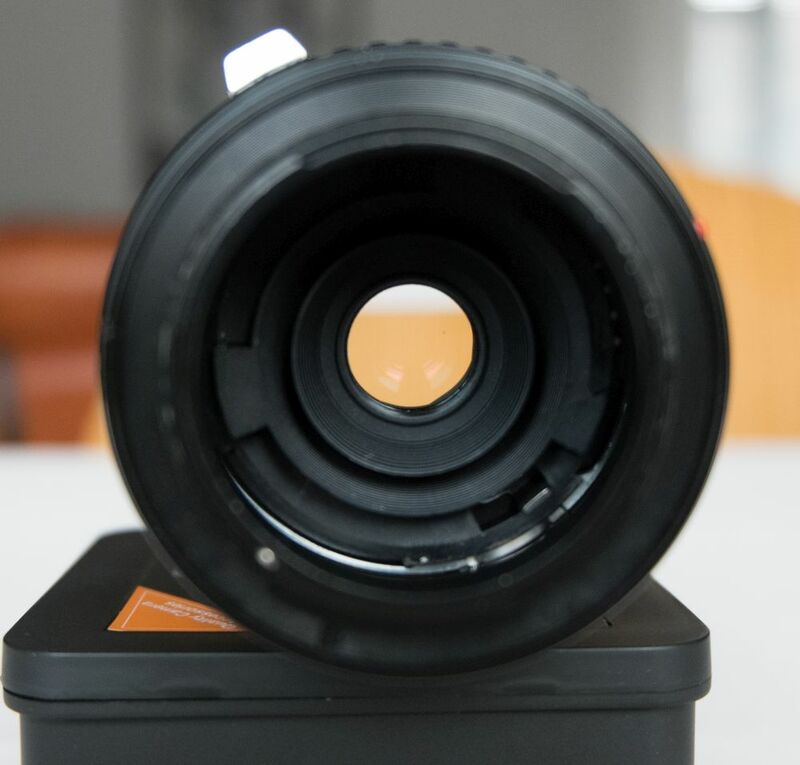 To change the Aperture, rotate the aperture ring on the lens. 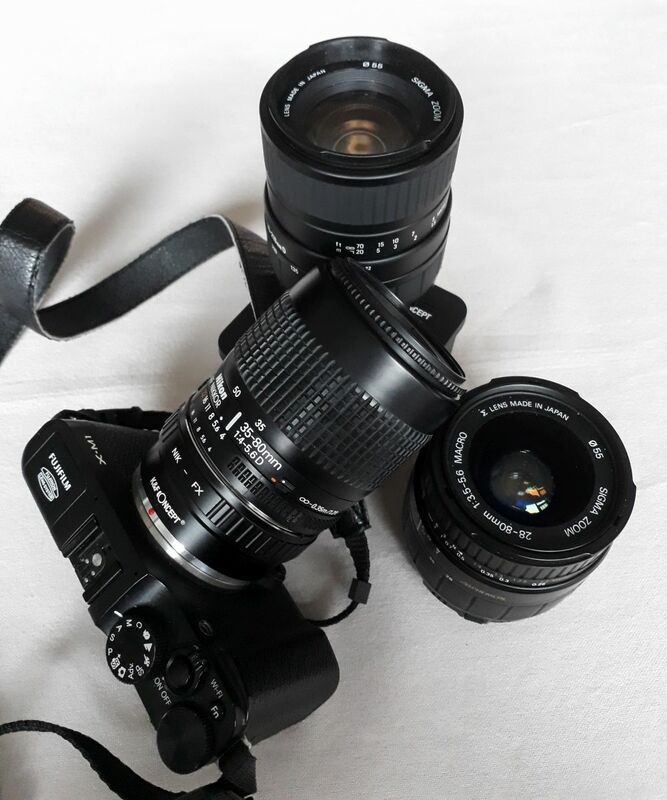 My lenses have a click ring and a scale. 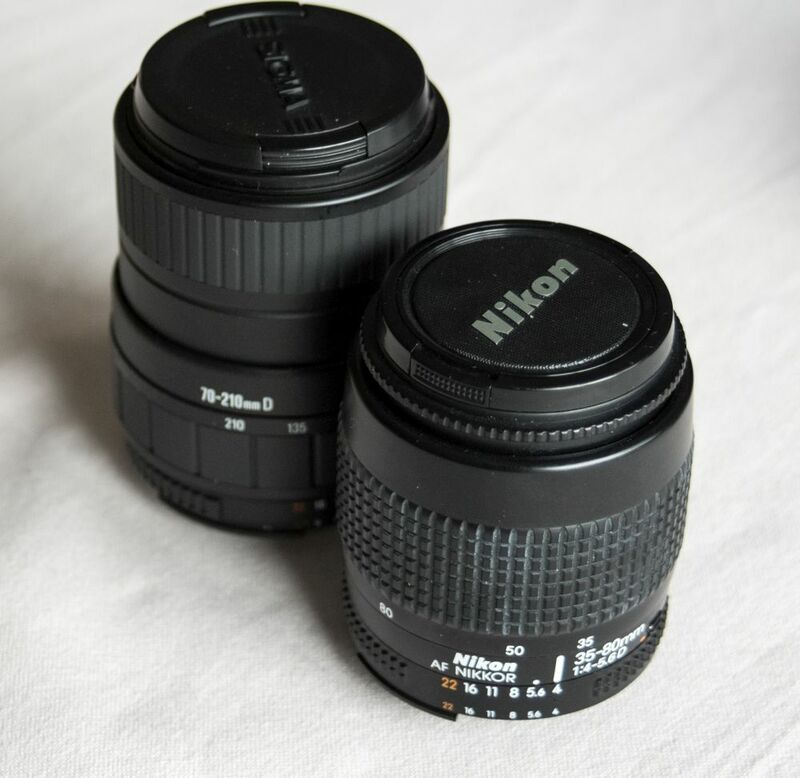 Meaning that each click is 1 aperture value higher or lower. 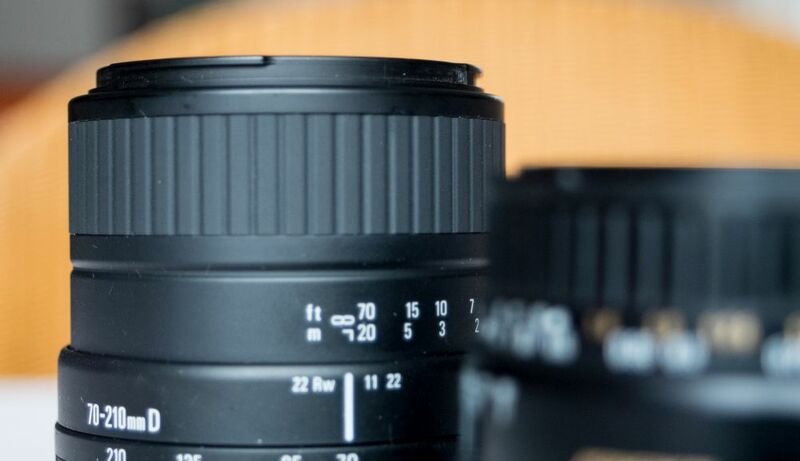 Shot with the 70-210mm. 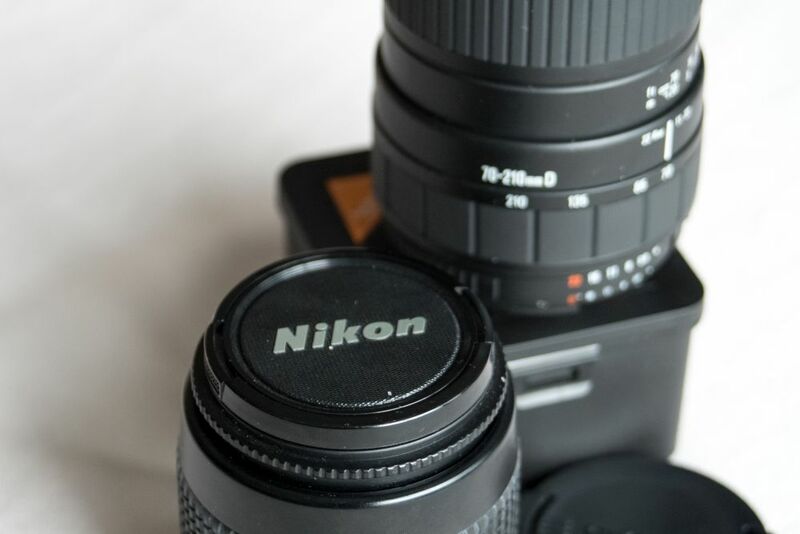 See how narrow that field of view is ! I focussed on the 10. This is an easy one ! Highly recommended. 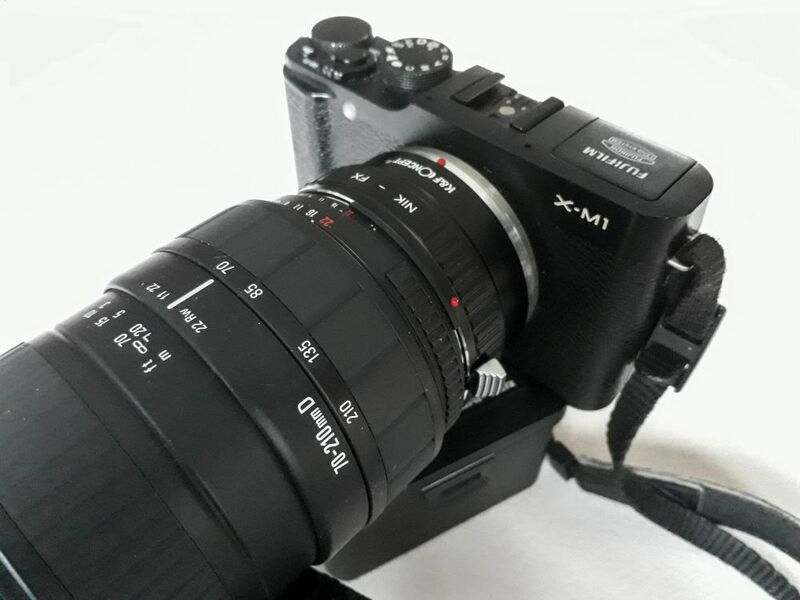 For that money, such quality and ease to use, the K&F Fuji X adapter is highly recommended. You just can’t go wrong with this one ! 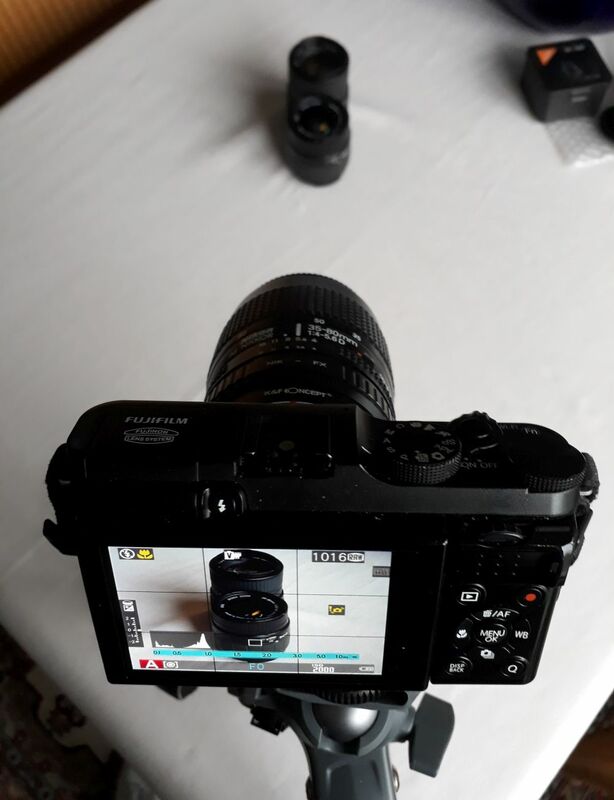 You need to use a tripod if you want to use a set up like this.